Many people have a favourite charity that they support with donations of cash over the years. Once you have downsized your life and have more time on your hands you may wish to expand your interest in your favourite charity. By volunteering your services to the charity of your choice you could well be giving back to an organisation that helped you in your earlier life with support during illness or care and attention during a stressful part of your life. Many people who give to charities such as the British Heart Foundation do so as the illness has affected their life or the life of a loved one. You could be available during major charity weeks volunteering to rattle a collection tin in your high street or manning an information stand in your local supermarket. An extra pair of hands is always welcome by all charitable organisations. 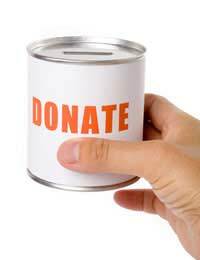 You may have a skill learned from your working life that can be put into use for the charity. Perhaps you are good at organising events and can turn your hand to doing this within the community such as fetes, concerts or a charity ball. Any event will bring attention to the charity’s work within the local community and highlight a special campaign. You will also be doing the charity a service by increasing much needed funds that can be used to support sufferer of a certain illness or investigate a cure. You may find that with time on your hand once you downsize your life you are able to dedicate a few hours each week to your chosen charity. Many of the major charities have shops in the high street and require volunteers to serve customers and work on the premises sorting through donated items for sale and arranging collections. Although you may never have worked in a retail environment you will soon learn how to serve a customer and perhaps set out a window display. During your working life you may not have had time for a family pet. Perhaps your life is still so busy or your home not suitable that it would not be fair to have a pet on a permanent basis. Many dog rescue centres around the country would welcome you as a volunteer. Whether it be helping in the kennels, working as a dog walker or even in an administration post your help is needed. If you are not keen on getting hands on with the animals there are other ways to help such as selling animal related items in the onsite the gift shop. You would be near the type of animals that you love and who knows could end up adopting a new friend for life. Horse centres, catteries and general rescue centre re always calling out for helpers. Most towns now have a volunteer centre where you can go for advice or sign up as a helper in your community. If you are in doubt as to where your local volunteer bureau is enquire in your library as they keep a data base of organisations and groups.